Of course, that presents an issue if you’re, say, BH5 and the next nearest to your trophy ranking happens to be a BH6. I mean, seriously, how could you ever expect to win against someone who is a higher BH level, right? Underdog matches are fairly common in the game, especially as you advance through the trophy rankings. However….what may SEEM like an underdog match isn’t always the case. Some players are at lower trophy rankings because they intentionally dropped trophies. This happens most often around Clan Games because, let’s face it, it’s a LOT easier to complete Clan Games challenges at lower trophy rankings or with lower leveled games in general. Difficult though it may be to believe, higher level players at lower trophy rankings aren’t always players looking to prey upon the weak. In reality, most of these players are simply not as good at the game yet. They’ve often rushed at a breakneck pace to the higher BH level and lack the attacking skills to advance much further in the trophy rankings. For that matter, you may well be seeing more of these higher level players because you’ve gotten so good at the game you are ahead of the pack! In any case, it’s important that you not give up but instead continue to fight on. It is totally a possible win when you’re in an underdog match. In fact, a couple of my lower level games nearly only ever see higher BH levels in their matches - sometimes +2 levels at that! 1. Eliminate structures about the periphery. 2. Clear a path to the Builder Hall. 3. Send in your kill squad. Take advantage of all troops in your arsenal - Boxer Giants and the Battle Machine to tank/distract; Bombers to disrupt the pathing of the base design; Raged Barbarians to overwhelm defenses and keep them busy while ranged troops attack from a protected space. You’ll be surprised how often you win the match. 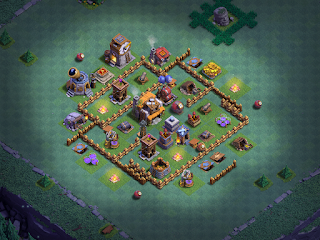 A good base design helps a lot here as well. Sometimes, the sheer breadth of the enemy base exceeds the capabilities of your troops to achieve as much damage as you’d like. If you run a decent base, though, you can defend well enough to hold your opponent’s forces back, resulting in a lower percentage for him/her than your own. Over the last few months, I published three videos that show underdog match-ups and how to win. Every match is different, but the end results are typically within your control. Keep a positive attitude and attack through; you’ll often walk away with the win!